The Cross Canada Full Cut-off Survey is a compilation of light pollution abatement practices in Canada. The purpose of the list is to promote and expand implementation of outdoor light pollution abatement provisions with focus on municipal governance. As new instances are reported, the list will record the growth of full cut-off (FCO) luminaire use. The backbone of a meaningful light pollution abatement program is the use of full cut-off fixtures. 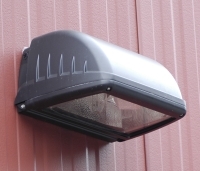 A full cut-off fixture directs all light emission downward, below the fixture. Since no light goes up or sideways, the three elements of light pollution, glare, light trespass and sky glow are greatly reduced. See examples at the bottom of this page. It has been shown that sky glow, the bane of the natural night sky, can be significantly reduced when FCO fixtures are in widespread use. Hence, it becomes a cause for pursuit of outdoor illumination regulation via municipal jurisdiction. 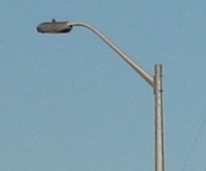 · Observed FCO Streetlight Luminaires: is just that. A FCO fixture has been seen in use on a municipal street. · Verified FCO Street light policy: is for those situations when documentation or a municipal official has confirmed that FCO streetlight is part of the roadway lighting policy of the municipality. · FCO Development Standards/Policies: is set aside for communities that have extended FCO regulation, through developer standards manuals, for use in all or a significant portion of the authorities commercial and institution infrastructure i.e. stores, plaza’s and schools. Enforcement is though development bonding fees and is effective until the point of final inspection. Policies, although in general are not enforceable, commonly are supported by developers. · FCO Bylaws: bylaws by nature are complete and compel compliance through legal enforcement either by a fine structure or other legal avenue. Importantly, enforcement is ongoing and not restricted to any particular phase. As such for the purpose of environmentally friendly FCO lighting, a bylaw is the most desired level of implementation. · Dark Sky Preserves(DSP) : in itself is an ideal LPA situation. Additionally, DSPs support LPA expansion beyond the preserve boundaries. Please note: where available, communities are now linked to their specific light pollution documents. These documents are a significant resource of light pollution abatement practice and will provide invaluable reference as guidance material. The success of this list depends upon the participation of all endeavoring to gain light pollution safeguards. Moreover, an active list will enhance the ability to persuade communities to adopt environmentally friendly lighting regimes. You are encouraged to contribute by reporting any systemic FCO use you discover in your community. Maybe you will even use materials from this list to discuss light pollution abatement practice to officials in your community! Thanks to Wayne Liebau for locating the links.